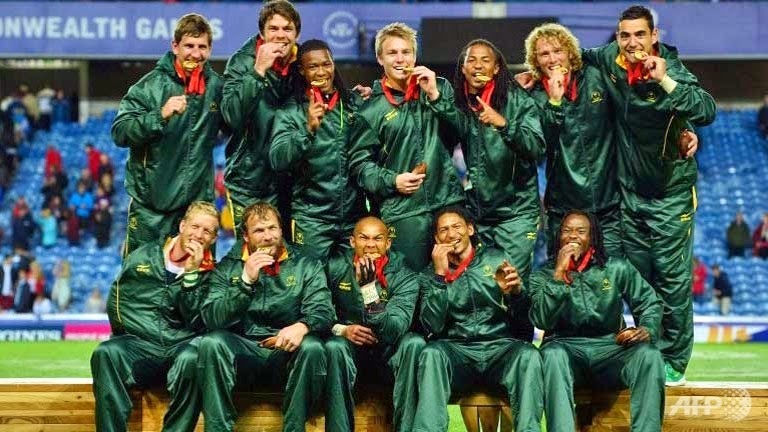 I thought South Africa were good value for their victory over New Zealand in the final of the Commonwealth Games Sevens last week. It's just possible that I may have previously mentioned this, but it must be said that I'm not exactly Sevens' biggest fan. Don't get me wrong, it's often a bloody good day out (as the attendances would verify), but as a game I'm afraid it leaves me cold. I absolutely HATED playing it - way too much running about with nowhere to hide - and would always re-discover that annual mystery ankle ailment and make myself scarce as Sevens season approached. Not only that, but I've never really enjoyed watching Sevens either. Yes, watching it live with a couple of beers can be good fun but as a TV spectacle it simply does nothing for me. Frankly the netball was more exciting. ice hockey here in North America, it's much better live.I will say that the 7 player game is Easier game for American spectators to follow- who have the attention span of ferrets-but for serious rugby fans, it's just not the same as the 15 player game.